“W.I.N.E. : Water Isn’t Nutritious Enough” was the best-rated of all AEGEE Summer Universities in 2017. 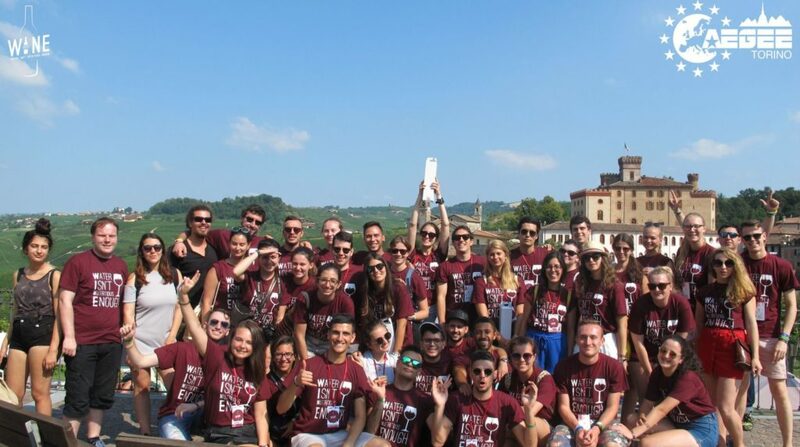 AEGEE-Torino hosted this marvellous event last year and invites you now for the sequel: W.I.N.E. 2018. 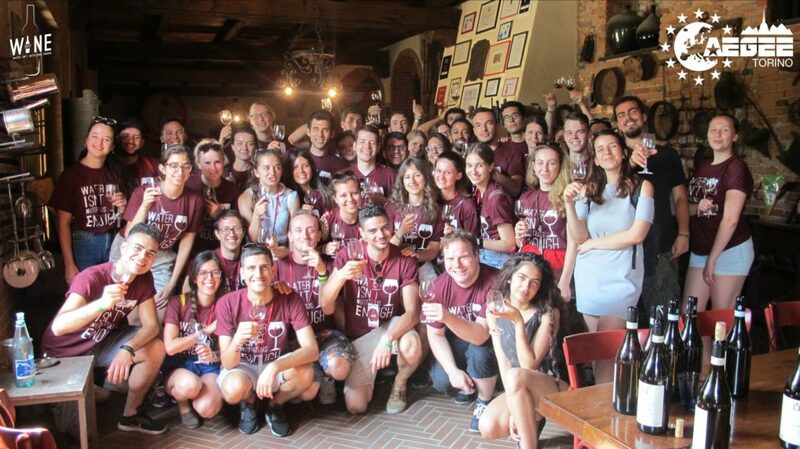 26 lucky participants will have the chance to learn everything about wine and have a great time from 24th of July to 7th of August. Last year’s main organizer Edoardo Carrera and this year’s main host Pedro Gabriel Castro dos Santos tell you more about it. Golden Times: Your SU was the best in 2017. Why and how did you manage it? Taking care of our participants: being available for any need and make them feel special as they truly are. GT: What is the main topic of your SU in 2018? Pedro Gabriel Castro dos Santos: Wine culture and the way of life in Piedmont are the focuses of our upcoming Summer University. The very first edition of “Water Isn’t Nutritious Enough”, back in 2016, marked a turning point in the timeline of SUs organized by our antenna: the topics were narrowed down and more extensively exploited. What had started as an uncertain bet revealed itself as a great success. Ever since our organizing teams have been able to bring more quality and content to the participants than ever. GT: What is your success formula? Pedro Gabriel: The formula is simple: the finest vineyards in Italy, the plain region surrounded by the Alps and a culture whose origins are spread all over Europe. Last year’s SU in Torino was spectacular. GT: SU means Summer and University. What is the University aspect and what is in the tuition part? Pedro Gabriel: At each new edition, the W.I.N.E. team brings Summer and University closer to each other. Our antenna truly believes that it is possible to launch an event at which one cannot split its activities into Summer and University. It is not easy though: our content personnel are struggling to create a continuous flow of entertainment and education – even linked to the social program. We don’t want to spoil future surprises, but we can give one hint: get ready to build up your knowledge by hearing from sommeliers during wine tastings, visiting vineyards, learning how to cook as an Italian, and much more. In addition, our cooperation with the European Citizenship Working Group will bring even more quality content and expertise. GT: Let’s talk about the Summer part of your SU. What are the three main program highlights in this area? Which cities and landmarks will you visit? A lesson on oenology during which our participants will be able to learn the basics of Italian wine by an expert on the field and, at the end, get a certificate. Staying overnight in the Italian Alps where the group can take a bath in lakes, hike along the mountains and watch the stars at night. And visiting Superga, which is one of the highest points in Turin, and enjoying the most iconic view of the city. Besides, our participants will visit the main points of wine production in the region – the cities of Asti, Barolo and Caluso – and taste some of their vintages. GT: What else will you improve in your SU compared to 2017? Pedro Gabriel: The organization of W.I.N.E. 2017 is a reference for our current team. At the end of last year, the former group assessed the main strengths and flaws regarding the organization from a participant’s point of view. This way the current organizing team aims to repeat the good points and change the bad ones. In addition, our organizers are tailoring some activities and farewell time to bring an even stronger emotional involvement during the event, so our participants will never forget this summer. GT: Can you say a couple of words about your antenna: what does it make it special? Pedro Gabriel: Every antenna has its own uniqueness that makes it special. Some have very experienced trainers, others throw amazing parties. There is the one that organizes epic TSUs year after year, and that one which organized an incredible and memorable Agora in 2016. All kinds of them. 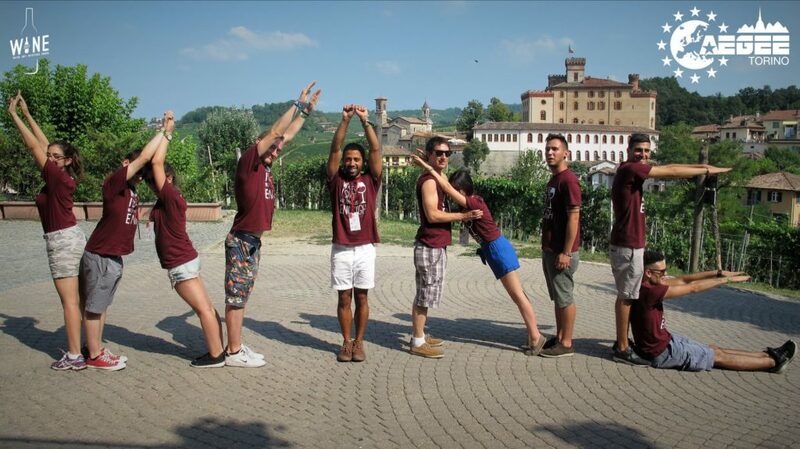 AEGEE-Torino has its own charm as well: I guess the group has an outstanding balance between entertainment and work. Very few antennae in Europe manage to achieve their goals in such a happy and light way as we do. GT: Where can interested people find out more about your SU? 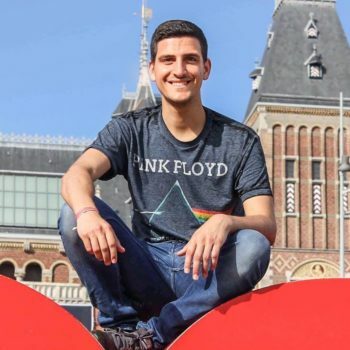 Pedro Gabriel: Whoever is interested in our event or simply wants to find out more details about our organization can find us on social media! On Facebook every week we post news about activities and important information in our page WINE – Water Isn’t Nutritious Enough and on Instagram we always keep the followers of @wine.aegeetorino inside the organization of the event! GT: Anything you would like to add? Pedro Gabriel: About forty people from four different nationalities working for eight months – that’s W.I.N.E 2018. 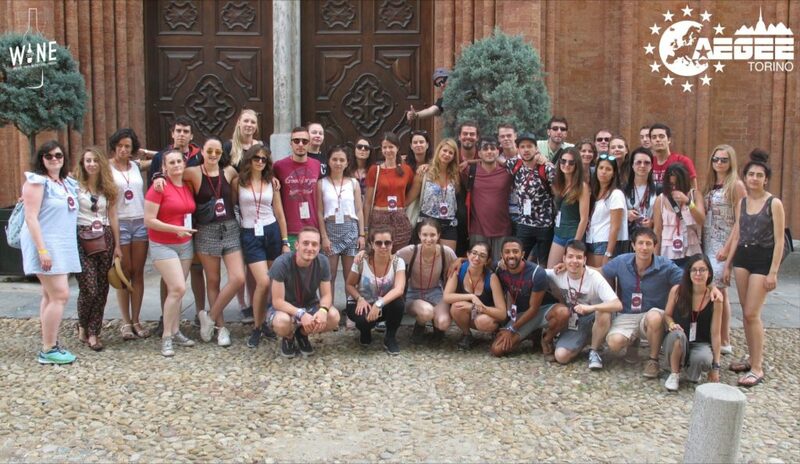 AEGEE-Torino has never seen such a great team working for a common goal: creating a unique experience whose memories will last for long. Beyond a remark for our antenna, we want W.I.N.E. 2018 to be a turning point for the whole Summer University Project. Don’t think twice: apply for it! Don’t forget to apply, so you can be part of the story! Help AEGEE antennae to win money! Check the GT on Facebook!